If you wear over-the-knee boots as much as I do during the fall/winter season, you probably also rely on leggings and super skinny jeans. Especially with fitted boots like these, you need thinner (but still completely opaque) options you can style with your favorite oversized sweaters, long blouses and capes. I recently added this pair of ponte legging jeans to my collection for fall, and they are crazy soft! 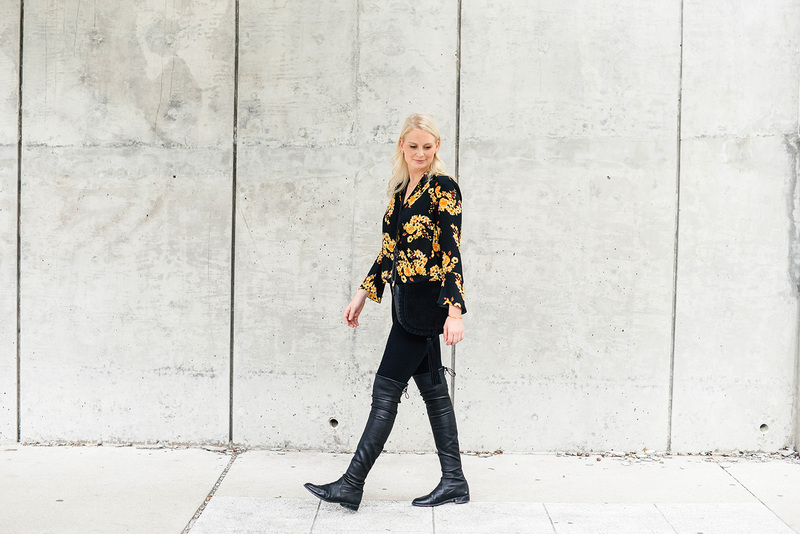 They’re the ideal pants for pairing with your favorite boots on the weekend, because they look like jeans but are super stretchy and comfortable in a ponte legging fabric. They’d make an excellent pair for say, Thanksgiving Day? You know, when you’re planning on stuffing your face with turkey, mashed potatoes and every kind of pie under the sun. I plan on wearing these leggings on the plane over to Tokyo in November with a soft tee and cozy cardigan – the perfect travel outfit! This is a pair you can absolutely sleep in. 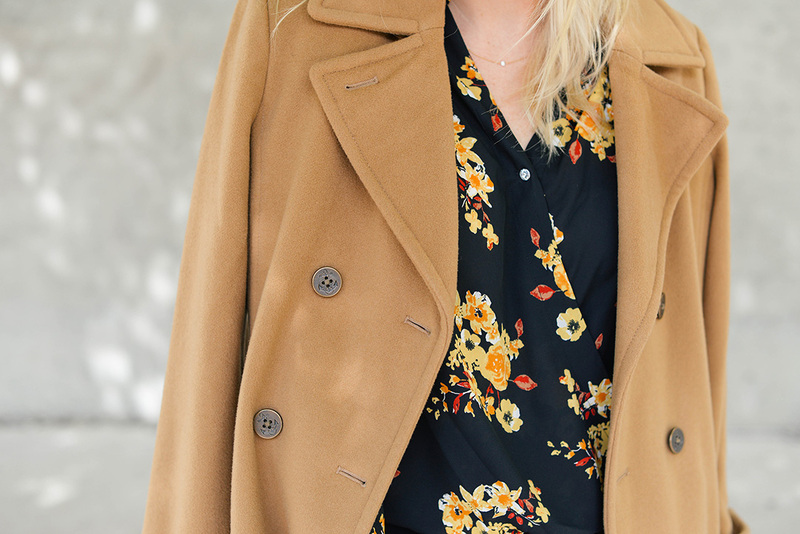 You may remember me mentioning my love for fall florals last week too. While I don’t wear prints all that often, when I find one that’s really good, I go for it! 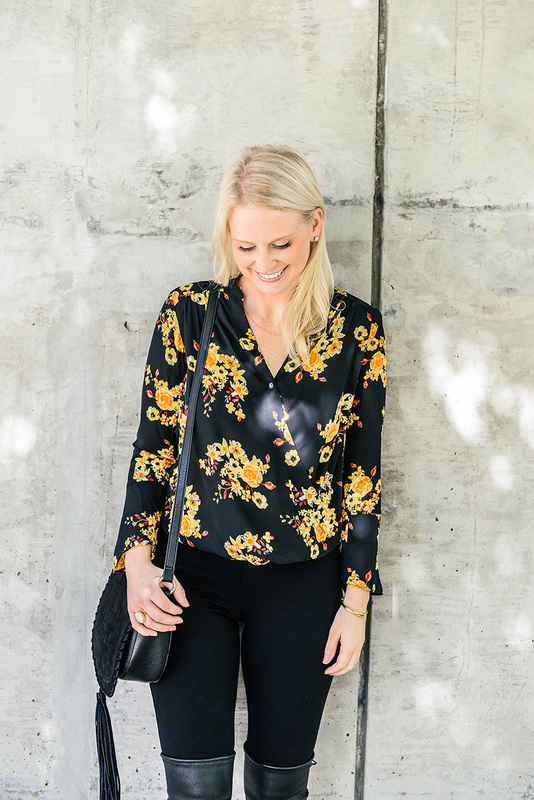 I’m obsessed with the orange, red and yellow floral print on this blouse – it truly pops against the black, and adds some interest and texture to my outfit. 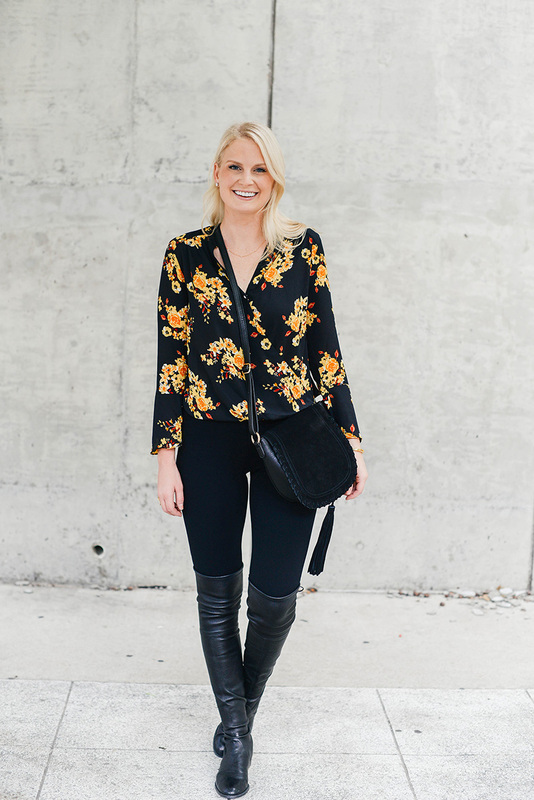 If you remember my travels abroad last fall, this was pretty much my everyday go-to outfit (give or take a few layers)… my fall uniform, you might say! very cute winter look, love your boots. I should check out that line of leggings. I definitely need more fitted bottoms for boots season! 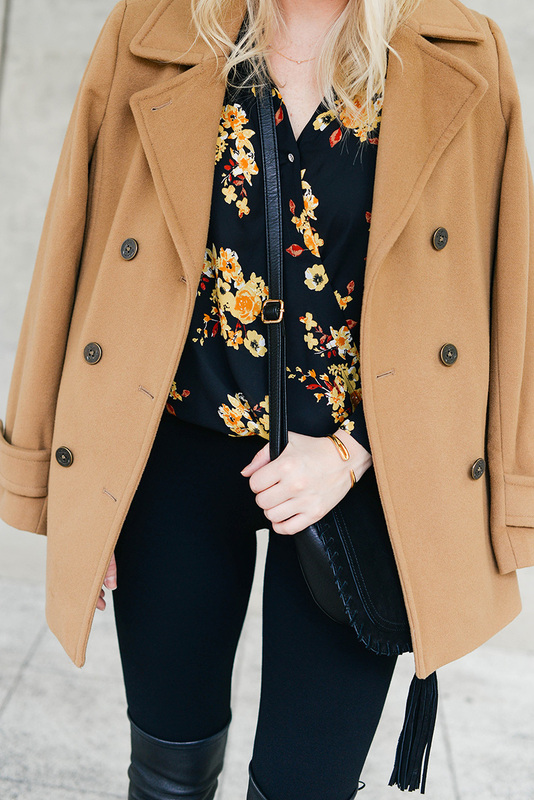 I love the fall colors in this outfit! So cute. And those OTK boots are killer! I love that! I think that is honestly the polite and respectful thing to do and it only takes a second to ask someone’s name. Worth it! Thanks for the recommendation on the leggings, M! I have been wearing leggings and OTK boots too! Such a good pairing and important to find the right fit. These look amazing on you skinny mini, and I love the colors. Wow, your pictures are so stunning. Love this look, I just ordered those leggings in 3 colors. oops!